The early bird beats the jet lag? Duchess Meghan, who is expecting her first child, revealed during her royal tour with Prince Harry that she does yoga at 4:30 a.m. The palace confirmed on Monday, October 15, that Harry, 34, and Meghan are expecting hour an after the duo landed in Sydney for their first international tour. The former Suits actress debuted her barely-there baby bump at the the Taronga Zoo and the Sydney Opera House on Tuesday, October 16. The pair have also visited Dubbo and Melbourne during their 16-day royal tour. A source previously told Us Weekly that Meghan is 15 weeks pregnant and is in “great health so far.” During an informal Q&A with students in Melbourne on Thursday October 18, the Duchess of Sussex revealed the couple have already starting thinking about baby names. Meghan has been spotted going to yoga class in the past. Her mother, Doria Ragland, also teaches the meditative practice. 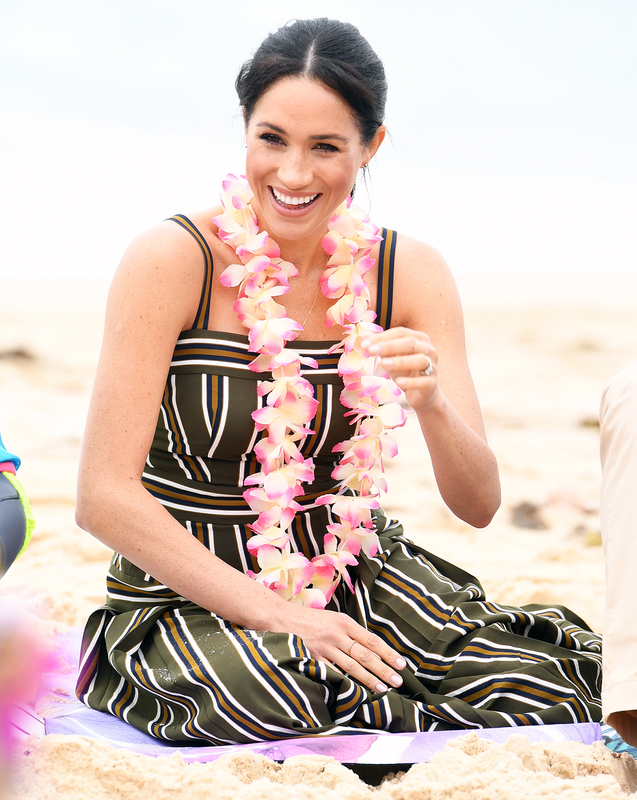 Pre and postnatal fitness expert and certified trainer Sara Haley (who has not trained Meghan) opened up to Us about Meghan practicing yoga — and doing headstands — during her pregnancy.